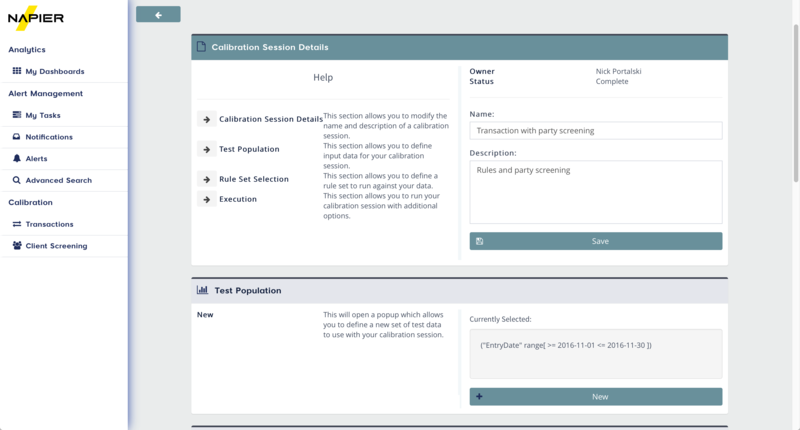 Rapidly build and test rules to reduce false positives within your transaction monitoring processes with our machine learning-enabled product which is designed to be used by non-technical business users in organisations of all sizes. Build and define rules easily using our flexible graphical user interface. No need to write code. Rapidly test scenarios and assess the impact of new rules and regulations in the platform's ‘sandbox’ simulator before going live. Run transaction monitoring together with machine learning. Our system produces two scores: one from rule-based scenarios; and the other from advanced machine learning algorithms. You can then compare these scores to understand and prioritise your teams daily workload. 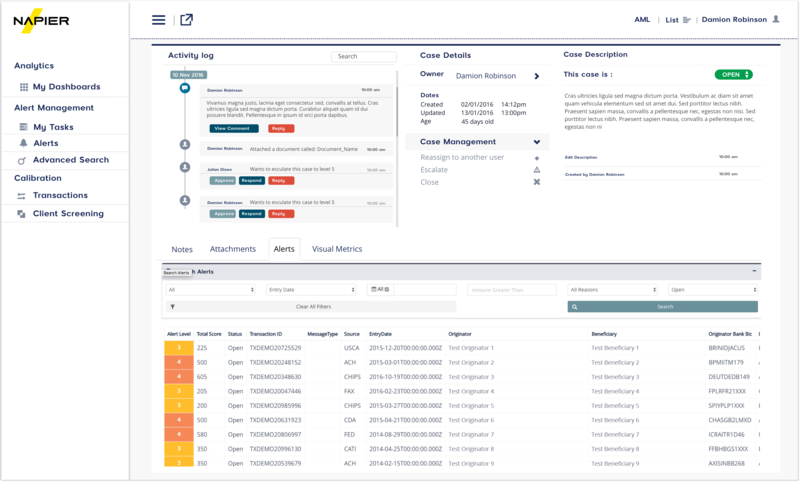 Enable your teams to co-manage cases through a single, self-auditing platform that defines and unifies every step of an investigation. Rapidly build and test rules to reduce false positives within transaction monitoring processes with this machine learning-enabled product which is designed to be used by non-technical business users in organisations of all sizes. Screen parties involved in transactions and utilise machine learning programme and advanced fuzzy matching algorithms to reduce false positives. Screen clients or entities against sanction lists while leveraging machine-learning programme and advanced fuzzy matching algorithms to reduce false positives. Automate the review of customers and their accounts against expected behaviour to fulfil regulatory requirements efficiently with a full audit trail. Perform enhanced risk assessments to generate a risk level for each client. Use these levels as part of a risk-based assessment to optimize your screening and monitoring processes. Screen entities against sanctions lists while using advanced fuzzy matching algorithms to reduce false positives. Ingest, enrich and analyse unprecedented quantities of data from multiple sources in real-time at a fraction of the cost (and in a fraction of the time) of legacy systems. Adding insight, whatever the sector.